Two days, two matches, two results that made the cricketing world sit up and take note. The extraordinary victory by the West Indies undoubtedly put a smile on the faces of those who love and care for the game, and while the Australians as usual thoroughly enjoyed England’s demise, their schadenfreude lasted barely 12 hours before they fell to defeat against a Bangladesh team who have progressed rapidly and are now stiff opposition to anyone, at least at home. It all demonstrates a game in rude health, where the minnows can turn over the giants, and those who have been struggling can still show what they can do when given the opportunity. Little has changed from a week ago concerning the health of the game generally, the prevalence of T20 leagues shows no sign of abating, and in the midst of the two Tests Mitchell McGlenaghan requested he be released from his New Zealand central contract in order to ply his trade as a freelancer in the T20 game. In his case, he’s not an essential part of the Black Caps international line ups, and it has been some time since he played, indeed he rated his chances of playing international cricket again as “pretty slim”, but it’s still an instance of a centrally contracted player seeking to strike out on his own. The self-imposed absence of AB De Villiers from the South African Test team put a huge hole in their batting (and the Kolpak desertions just as much) during the most recent series in England, and of course the numbers of West Indians unavailable for their international team is well known. So much of that is self-inflicted by a dysfunctional board, and in that regard at least there are more recent signs of an improvement in the governance, and the bringing on board of people like Jimmy Adams and Jeff Dujon who might just care more for the game than for the politicking that has afflicted it for so long. It’s an ironic thing in the wake of the victory that Chris Gayle has indicated he wants to play Tests again. Whether that would be welcome is less the point than that it would be beneficial for the West Indies to be able to select from their full pool of players. What hasn’t changed is the dispersal of funding centrally, the question of a meaningful Test programme and ensuring that all teams get to play. Bangladesh’s win over Australia follows one over England on their last tour, suggesting that at long last they are becoming competitive. But Tests remain relatively rare for them, they’ve only had one three Test series in the last decade (against Zimbabwe), and there were efforts to downgrade the latest Australian tour to a one day only series without Tests. Their next series is in South Africa, and that too is just the two Tests. It’s not uncommon for them to go the best part of a year with no Tests at all. Perhaps the improvement in their cricket will lead this to change, but it seems a little unlikely. It’s possible that the two results will not only fail to change the current Test match situation, but even make it worse. If the response to them is to believe that all is well in the garden, then that ironically doesn’t help at all, for the battle to save Test cricket isn’t even close to being won; it is being lost. There are many villains in the piece – the easy money that T20 in particular generates taking precedence over everything else. The ICC is not a governing body in the normal sporting sense, subject to the whims of its members and their vested interests in a way that isn’t healthy. The general principle that such a body should be in place to look after the interests of the game simply doesn’t apply, and while there are few examples of those who act altruistically for the sake of sport, the ICC remains extraordinarily opaque in its decision making and doesn’t engender trust in any way. Let’s be positive about it. The wins for the West Indies and Bangladesh reasserted what Test cricket is all about. If for no other reason than as a reminder that it’s worth something, they were exceptionally welcome. If it caused those who had been advocating four day Tests to quieten down, that is even more welcome. There is nothing in that proposal that improves the game in any way; there would be fewer overs, matches would be wrecked by weather to a greater degree than is currently the case, and the prospect of getting teams to actually bowl the overs they are supposed to by increasing the daily workload is quite simply laughable. The proposal is there for the benefit of boards and money men, not cricket. One final point. When it comes to the media, there’s a rule that generally applies. If a headline ends in a question mark, the answer is no. Friday sees the England team back in action after a break that scarcely warrants the term. To put it into context, they begin the ODI series in Bangladesh on October 7th. In 2017, they will finish their home international season on 29th September. It’s been pointed out before that England’s schedule is beyond ridiculous, and irrespective of all the other matters around whether England were to tour at all, it would be unsurprising if some within the England camp were hoping for it to be cancelled for no other reason than to provide a more meaningful break. Some players are missing anyway of course, Alex Hales and Eoin Morgan deciding not to tour, while James Anderson is injured, and in so being thoroughly justifying the medical team once again who advised so firmly against his selection during the English summer. If this series feels like a warm up for the India tour, it’s not helped by the lack of any scheduled preparatory matches before the first Test in Rajkot; the implication that Bangladesh will provide what is needed is hard to avoid. Nevertheless, despite the debates over the security issues, Bangladesh as a cricket nation desperately needed it to go ahead. If England had not agreed to go, the likelihood of other countries visiting would take a big hit. There may be lots of criticism about how deserving Bangladesh have been over their Test status in the last decade, but losing home matches would be a body blow to the prospects of the game there. Cricket is not in the healthiest state it could be, and while Pakistan reaching the number one ranking (since overtaken by India) while playing in exile might be a notable achievement, it doesn’t mean it’s a template for others to follow. This series comprises three one day internationals and two Tests, but few in England will be excited about it. That isn’t the point though, and while it is easy to play a game of whataboutery, whether it be concerning Ireland’s treatment or the actions of the ICC, for the game to have any chance, the weaker and poorer members of the international firmament need to play against the rest, and play at home. On my recent travels I had the opportunity to talk to a number of people from Bangladesh, hoteliers, ground handlers and so forth, and while this cricket tour is not something from which they expect to see any business, the very fact that it is happening at all was clearly uppermost in their thoughts. In difficult times even the most peripheral action can have an impact on the future and on the degree of confidence in the future. They need this, and they need it badly. England will expect to win, and although Bangladesh’s progress is uneven, they are even more hampered by having not played international cricket since March’s World T20. In a time when the ECB are heavily criticised for grinding their players into the dust in an attempt to extract the maximum financial return, it is easy to forget that other countries might regard that as a nice problem to have. This tour will be low key on the field, and all hopes are that it will be equally low key off it. Yet for England fans the selections of Zafar Ansari and Ben Duckett will be of interest, as will the performance of some of the bowlers given the challenges ahead. Chris Woakes has had the kind of summer he would have dreamed about, but rising to the challenge of sub-continental pitches will be something new to deal with. How he does that, particularly in the absence of Anderson, will provide an indication as to how competitive England will be in India. The same can be said of the spin attack – the recall of Gareth Batty doesn’t inspire great confidence in the potential amongst the younger players, but dealing with the here and now rather than chasing a future that never arrives is perhaps something England haven’t done enough of in recent times. However it turns out on the field, this tour says more than just about cricket, and perhaps that is the most important thing. The debate about the rights and wrongs of players going, not going, how the ECB handled that, how the cricketing press responded to that has been done and not too many came out of it with a great deal of credit. The matches themselves can at least provide a respite from that. So while Tamim was setting the national record at one end, Imrul was making the seventh highest score by a Bangladesh player at the other end, setting record opening partnerships with him, and becoming fifth player to pass 150 in tests for Bangladesh. It was a carve up in Khulna. So with all the ground records and national stuff out of the way in the Tamim piece below, what else do I have for Imrul’s knock in statistical terms? This was Imrul’s third test century and his first not at Chittagong. He has a decent conversion rate – 5 scores over 50, just two falling short once he passes 50 of the century mark (one being his first innings 51 – the other a 75 at Lord’s). That test average is still in the mid-20s, but don’t underestimate a knock like that in saving the game. He doesn’t stop at 100, with scores of 115 and 130, so while a DBTA of 31.67 isn’t top drawer, it isn’t nonsense either. Imrul’s century was the 11th made at the Sheikh Abu Naser Stadium, and he nestles into 5th = with Shiv Chanderpaul (who made a not out 150) for the stadium honours board list. Five hundreds have been made by home players – Tamim has two, Shakib al Hasan one and Abul Hasan one. Three hundreds were made in one test by West Indies players in 2011. On to 150. Have you ever seen a 150 Dmitri? The answer is no. There have been 30 scores of 150 in tests, and if I had to associate the number with one innings I recall, it is Mike Gatting’s at The Oval to take us to a series losing draw v Pakistan in 1987, when the visitors had racked up 700 on us. The first 150 was made in 1911, and by one of the few test players with a surname beginning with the letter Z outside the subcontinent. Billy Zulch, at the SCG, while following on against the hosts, made 150 for South Africa in a losing cause. The previous 150 made in tests was Shiv Chanderpaul’s effort at Khulna three years ago. Sydney and Georgetown have had three scores of 150 apiece, so Khulna, in its limited life as a test venue is punching above its statistical weight. The last Englishman to make 150 exactly was Gatting, with just two others making that score – Len Hutton and Derek Randall. The last one in England was by Ricky Ponting at Cardiff to kick off the 2009 Ashes. Ricky Ponting, along with Gary Kirsten, are the only two players to make 150 twice in tests. Imrul Kayes 100 came up in 150 balls and contained 11 x 4 and 3 x 6. Tamim Iqbal, once, as I always like to remind him, compared to Virender Sehwag by Jonathan Agnew, is really hitting form. Today he reached the pinnacle of Bangladesh test batting by setting its record score. His 206 broke the record set by Mushfiqur Rahman (200) two years ago in Galle against Sri Lanka. It took his test batting average over 40. It was his seventh test hundred, he’s a good over or two’s thrashing from 3000 test runs, and he’s just 26. It’s a bit of a transformation for him, and Bangladeshi test cricket. On the batting front there are green shoots of recovery. This was the 16th double hundred made in tests in Bangladesh (we set out the country record and ground record holders in the Mohammad Hafeez piece). 206 places Tamim in 9th place in the list. 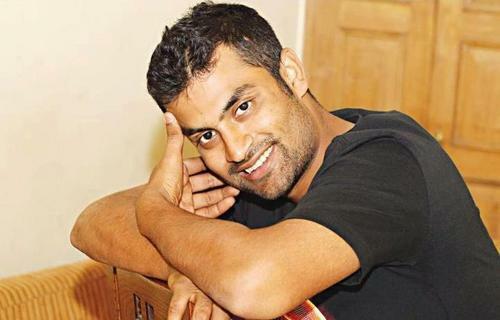 When he reached 182 he passed Monimul Haque for the highest score by a Bangladesh test batsman in their host country. This was the 14th double ton in Bangladesh involving the host nation – two Pakistanis made their doubles against Sri Lanka in the Asian Test Championship. This was Tamim’s second ton at Khulna, his fourth in Bangladesh (he has two in England) and only the third of his centuries to pass 110. 206 has been made 14 times in test cricket? Have you seen one Dmitri? Well funny you should mention that but I have. It was in Adelaide, funnily enough, and it was Paul Collingwood who made it. I wonder how that test panned out? The first 206 was made in 1938 by Bill Brown, who carried his bat for that score at Lord’s in 1938 after Walter Hammond had made a big double for England in the first innings. Lord’s saw the second 206, when Martin Donnelly of New Zealand made that score in 1949. Lord’s shares the distinction of having two scores of 206 with the Queen’s Park Oval in Port of Spain, where both Everton Weekes and Ricky Ponting have made that score. Also, Adelaide has two – Collingwood and Arthur Morris. The last 206 was Chetshwar Pujara’s unbeaten innings against England in Ahmedabad. You know, the game Arron refers to a lot when it came to our selection of bowlers (and rightly so). Another notable 206 innings came from Ravi Shastri in Sydney (Shane Warne’s debut). Tamim Iqbal’s 100 came up in 124 balls and included 11 x 4 and 3 x 6. His 200 came off 264 balls, with 17 x 4 and 7 x 6, with the final tally for his innings being 278 balls. A National Record to be proud of Tamim. Bangladesh may well be on the rise. Not a lot riding on this one. New Zealand should be safe and sound as group winners (are they already because I’m not sure what the first tie-break is), while Bangladesh are going to finish 4th and trek off to Melbourne. Fire away…… We know what this means.